The Sher Mahi, an indigenous fish of Khyber Pakhtunkhwa, is facing serious threats to survival due to climatic changes, water pollution and overfishing. The scientific name of the fish is “Clupisoma Naziri” and it is found in river basins adjacent to Afghanistan. Fish lovers proudly compare it with trout, because both the species have spine horns and such small scales that they do not have to be removed to cook the fish. But this fish may be in trouble. Experts in the fisheries department of Pakistan’s Khyber Pakhtunkhwa (KP) province, zoologists and those in the fish business have observed a decrease in the population of Sher Mahi in its main habitat, the Kabul river. They believe extreme weather events – especially severe floods and erratic rainfall – combined with water contamination and over-fishing are the main cause of the depletion. The construction of the Warsak dam in 1960, also added problems. The dam blocked the migratory route of the fish, which winds from Kunar-Kabul-Jalalabad in Afghanistan to Torkhem-Peshawar to Charsadda-Mardan and to some areas of Indus river at Nizampur (Nowshera district) in KP and finally to Kalabagh in Punjab. This problem takes on an added urgency because the fish cannot be reared in water ponds, or fish farms, due to its highly sensitive nature. Experiments of rearing the Sher Mahi in hatcheries have so far resulted in failure. 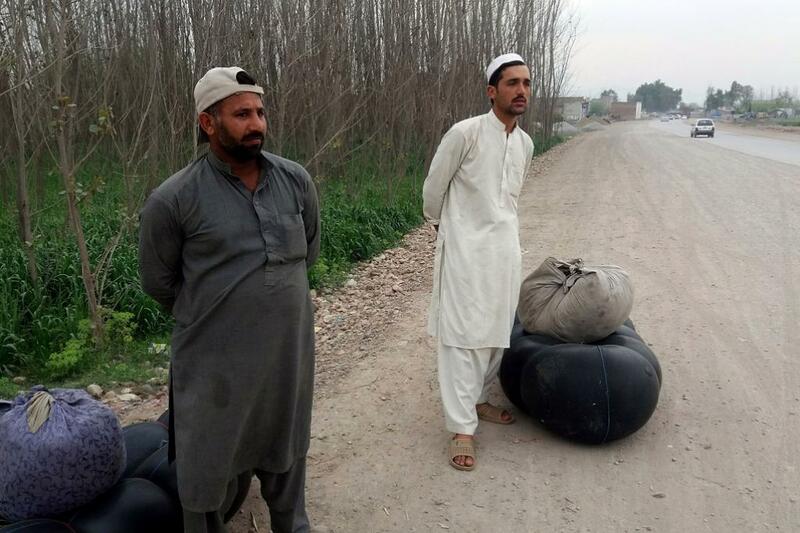 “For the last few years we are observing a considerable decrease in catch of local fishermen,” said Musafar Khan, the owner of a fish hut located on the bank of the Kabul river at Haji Zai village in Charsadda district. Gul Rahim, a fisherman from the KP’s Peshawar district, claimed that ten years ago he used to catch 15 to 20 kilogrammes of the fish on a daily basis. This provided him with a steady income. Now he catches at most 1.5 kilogrammes of fish. The decrease in the fish population has been matched by a steep rise in its price. Three years ago a kilogramme of the fish cost approximately PKR 400-500 (USD 3-4). Now it costs PKR 1,100 (USD 9.5) per kilogramme, depriving poorer inhabitants of the fish. “An alarming decrease in population of Sher Mahi has been observed during the last few years, raising concerns about its survival,” said Muhammad Diyar Khan, the director of the fisheries department of Khyber Pakhtunkwa (KP). “There is no departmental survey conducted so far to evaluate the loss, but based on the reports obtained from fishermen and locals dwelling on the embankment of the Kabul river, it is assumed that around 50% of the Sher Mahi population has disappeared,” he added. Diyar disagreed with the idea that new methods of fishing – such as through electrocution or the use of dynamite – was a major factor behind the depletion of the Sher Mahi. These methods are used for fishing in stagnant water while the Sher Mahi is found only in fresh running water. However, the high price of the fish is leading to more people trying to catch the fish, creating more pressure on the Sher Mahi. In a negative cycle, the high price created by its low availability, is creating a greater incentive for over-fishing. There are, though, wider causes. 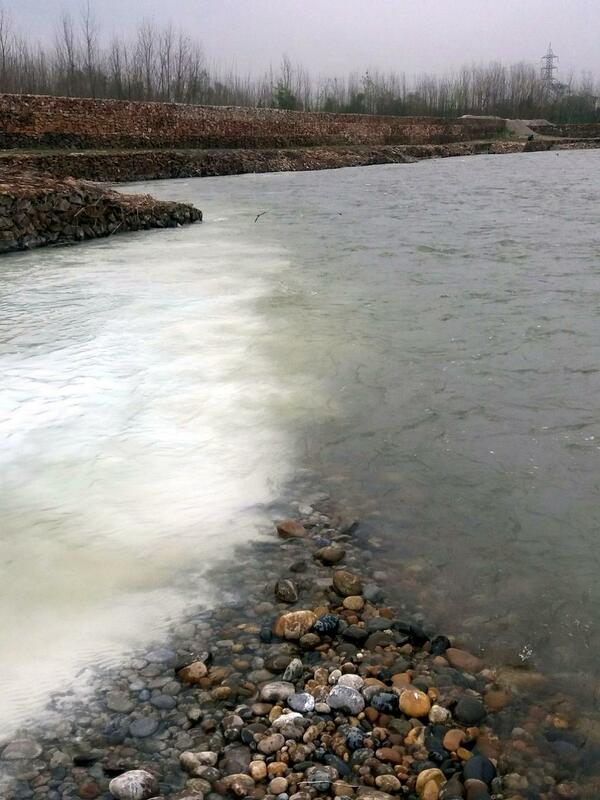 “The rise in temperature of the Kabul river due to global warming has reduced oxygen dissolution in water which has affected the Sher Mahi,” claimed Maqsood Ahmad Siddique, who, before his retirement, served as the assistant director of the fisheries department of KP. The increase in the temperature of water and the direct disposal of waste – both human and industrial – alters the pH level – how acidic the river water is. 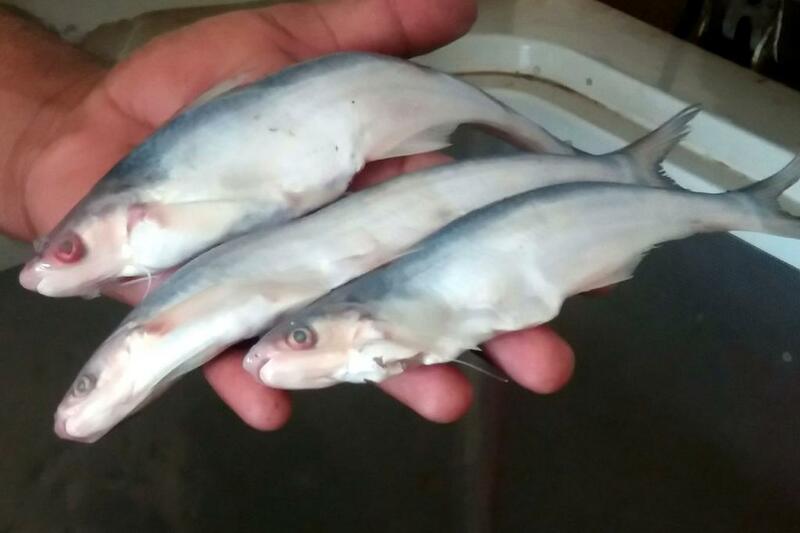 “Clupisoma Naziri is a sensitive fish and requires more than normal the ratio of oxygen in water for survival,” observed Zaigham Hasan, an assistant professor at the Zoology Department of the University of Peshawar. Sher Mahi fish is so delicate that it dies as soon as it is caught in the net. “If the normal ratio of oxygen in water is 5 parts per million (ppm), the Sher Mahi requires 6 ppm,” Zaigham said. Similarly for breeding and egg laying, the fish requires oxygenated water which is not available thus affecting reproduction of the species. Since the fish feeds mainly on insects, water pollution has led to a shortage of its food. 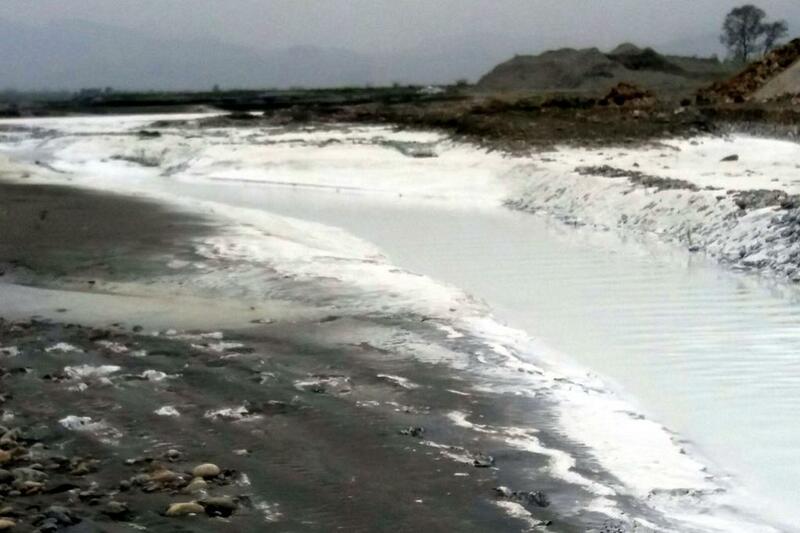 Zaigham also blamed water contamination due to disposal of waste by the hundreds of marble industries located on the banks of the river Kabul at Shabqadar area in Charsadda district. The nearby Mohmand Agency is rich in marble deposits so there are hundreds of marble crushing units directly disposing waste into Kabul river. “There are around 150 marble units in Subhan Khawar, Michni and Yakaghund area and the majority of them are complying with environmental laws,” claimed Himat Shah, the general secretary of the All Marble and Chips Industries on Warsak road in Peshawar. Talking to thethirdpole.net, Himat Shah said there are hundreds of marble industries in KP and owners are cooperating with the Environment Protection Agency. The director general of the Environmental Protection Agency KP, Muhammad Bashir, said that the EPA ensures that industries comply with environmental laws. When his attention was diverted towards the flow of contaminated water from the Subhan Khawar into the Kabul river, he said there are a large number of marble industries located in tribal areas which are out of the jurisdiction of the EPA. The stone crushing and other industries have a bad record in KP. See: An asthma patient in every house. The deputy director (technical) of the EPA, Muhammad Hanif, disclosed that out of the 90 marble units in Subhan Khawar only four have set up septic tanks. Hanif said the EPA is aware of the issue and after a hearing process, owners of the marble units will be issued with Environmental Protection Orders to install septic tanks. Meanwhile, caught between a warming climate, a growing population, and the destruction of its habitat, the Sher Mahi continues to dwindle away. Adeel Saeed is a Peshawar-based journalist.